Union Pacific is one of the large freight railroads in the US. Their fleet of locomotives is commonly seen across the US west of Chicago. They are painted yellow and carry a large American flag on the side. However, trains are not the only way that staff of UP get around. 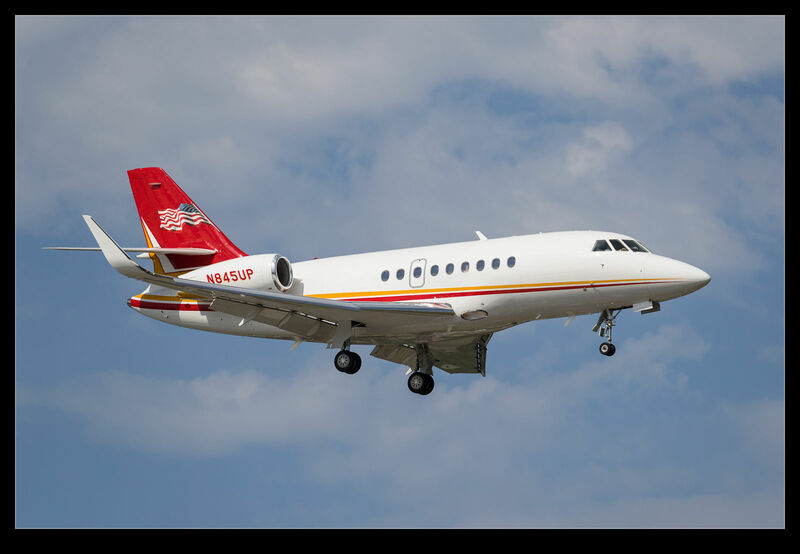 They also own a Dassault Falcon 2000 and I saw it come in to Boeing Field. While it isn’t painted like a loco, it certainly shares a few design cues with them and it looks a bit more interesting than the average all white scheme. 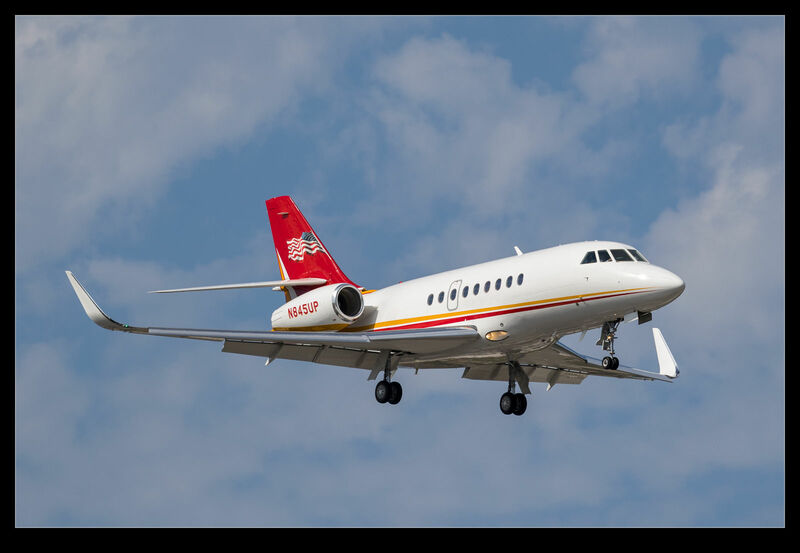 This entry was posted in aircraft, civil, corporate, Pacific Northwest, photo and tagged aircraft, airplane, Boeing Field, business, civil, corporate, Dassault, falcon 2000, jet, KBFI, king county, photo, seattle, union pacific, washington. Bookmark the permalink.